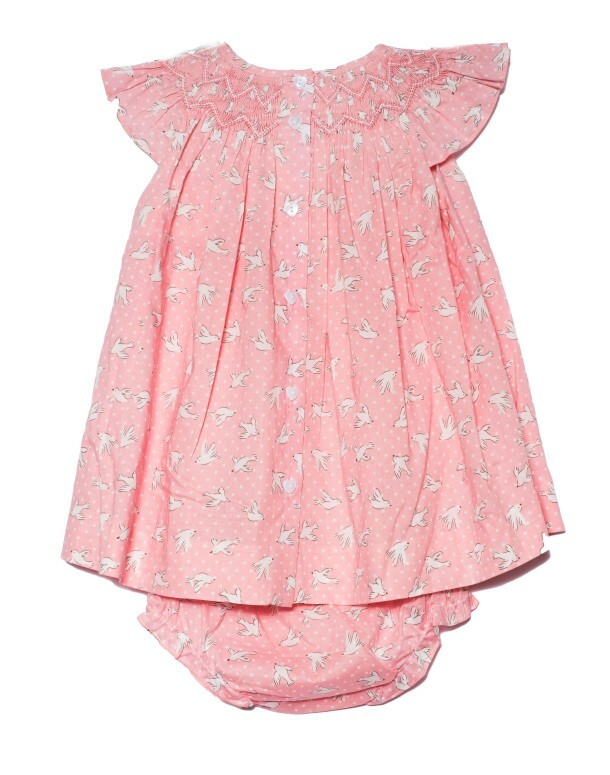 This pink and white dove print dress is serenely gorgeous. 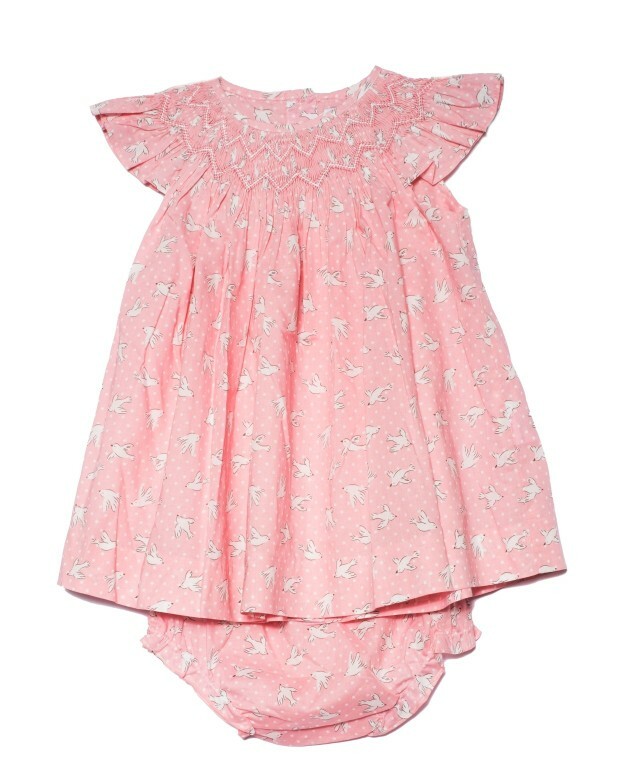 It features a hand smocked zigzag pattern below the neckline and butterfly sleeves. 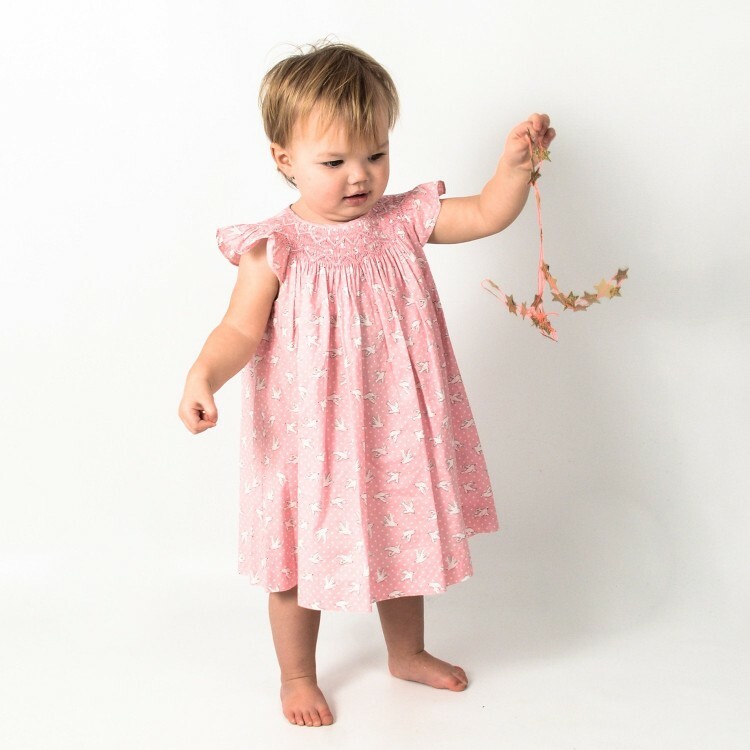 Wear it with it's matching bloomers and satin ballet flats.